Then I ask a second question. Is it possible to get one periodic element from another? Most of the people do not fully understand the meaning but some give me the right answer – “Yes, it is called nuclear reaction” and almost immediately come to realisation – it was the same question asked twice. Lead and gold are both metals, both from periodic table. Scientists dubbed one of such transformation “nuclear transmutation” – term alchemy deems unscientific. According to both Bohr’s atomic and quantum mechanical models, the difference between lead and gold is three protons in atom nucleus. If we remove those extra protons from lead nucleus we get an atom of gold and some energy released. Unfortunately we do not have know-how to exercise that kind of control, not yet. I do not think that synthetic gold will be financially feasible, but we are already running short of some rear earth metals it holds back our technological development. Some companies working towards mining asteroid or brining them down to Earth. 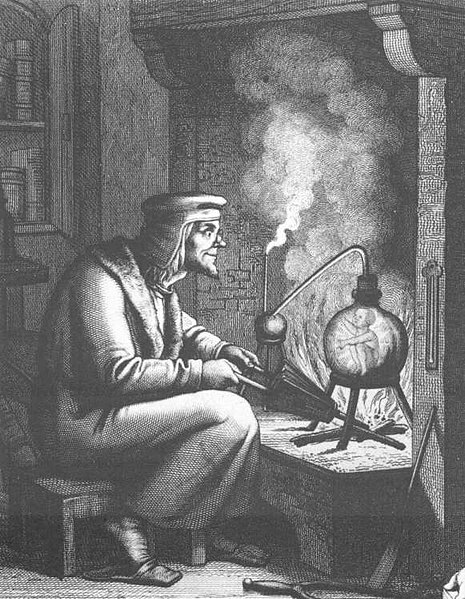 It might be the time to think outside the box and bring alchemy back.